As promised, here’s the longest-lived of William Younger’s Stouts, DBS. Which I assume stands for Double Brown Stout. 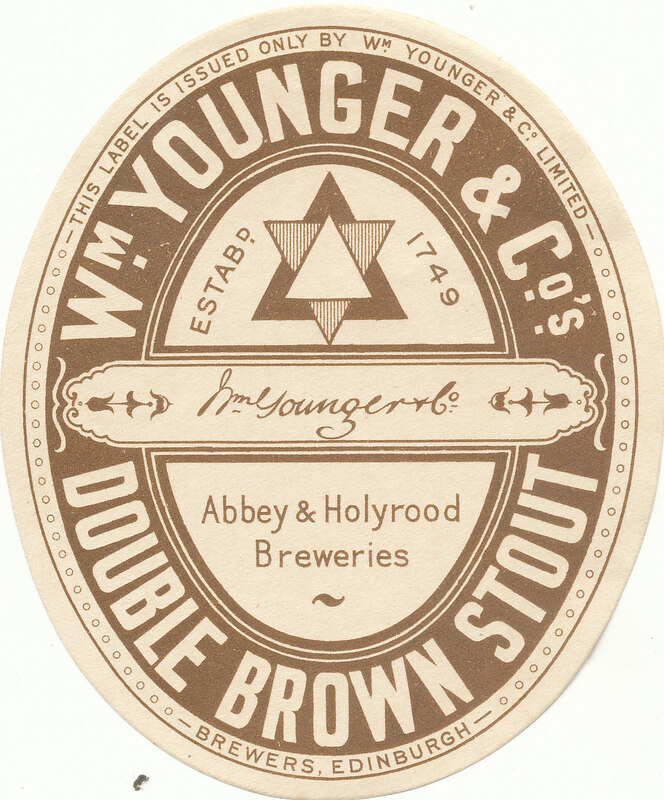 It was brewed from at least 1851 to 1949. Which a decent run for any beer. Despite what brewers may want you to believe, few beers live for centuries. A single century is rare enough. How does it differ from MBS? It’s a little bit stronger, for one thing. And more heavily hopped. The grists are pretty similar: pale, black and amber malts, grits and caramel. Rather a lot of caramel, so it can’t be the 15,000 SRM kind. 500 SRM is a random-ish guess, purely based on getting the colour about right. They’re not that different. It makes you wonder why they bothered with both. This is right in the middle of Younger’s grits period. 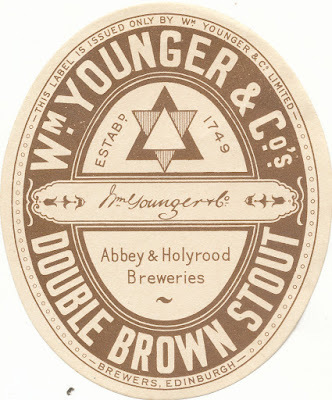 Between 1913 and 1933 they used crazily large percentages of it in all their beers. Up to as much as 45% of the grist. Sometime later in the 1930’s the proportion of grits was greatly reduced. Just after the war they were using none at all, instead going for flaked barley as an adjunct. This wasn’t voluntary. The use of maize products – which had to be imported – stopped during WW II. Brewers were told to use first flaked oats and later flaked barley instead. Restrictions continued in the immediate post-war years but by the early 1950’s maize, usually in the form of flakes, was once again a very common ingredient. Wow! Half a pound of brewers' caramel! Their stuff must have been very customized and give some sort of trademark twang!